It seems like only yesterday since I posted part one of my mini-makeover in collaboration with Dwell, and breathed new life into the cottage with a few simple furniture and accessory additions. 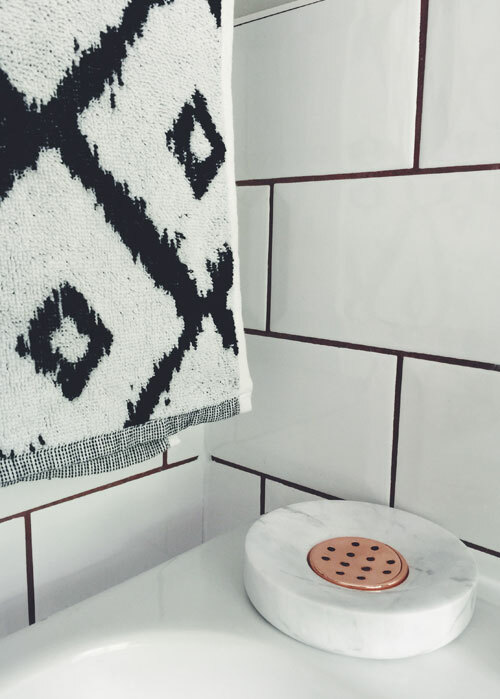 Today we move away from the living room, to the upstairs study and newly redecorated bathroom with a small but perfectly formed selection of practical-meets-stylish product picks. 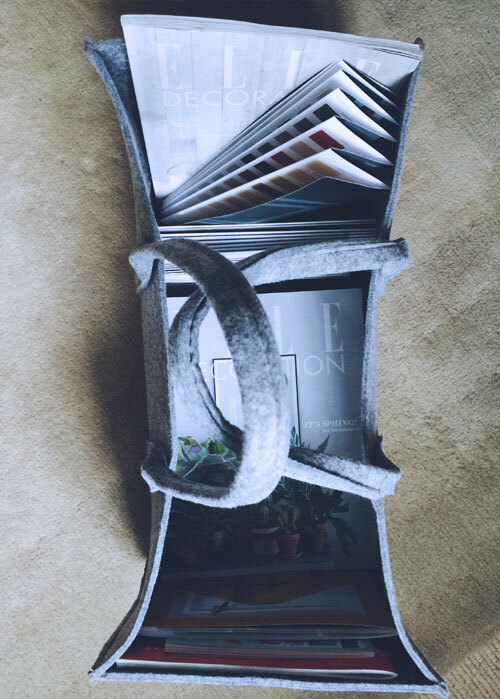 The Brit Decor study is a space in which I spend heaps of time working on blog posts and designing interiors for clients, so it's essential that I have plenty of inspiration close at hand. 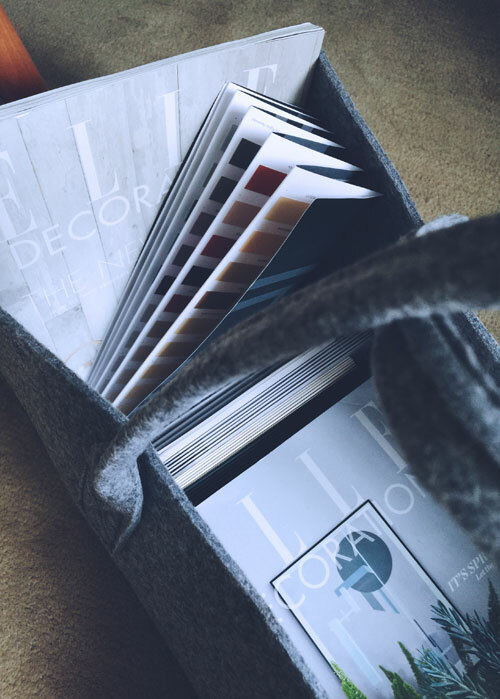 Asides from researching the latest trends, thumbing through the glossy pages of my favourite interiors magazines is a 'must' for chilling out and immersing myself in the world of interior design. 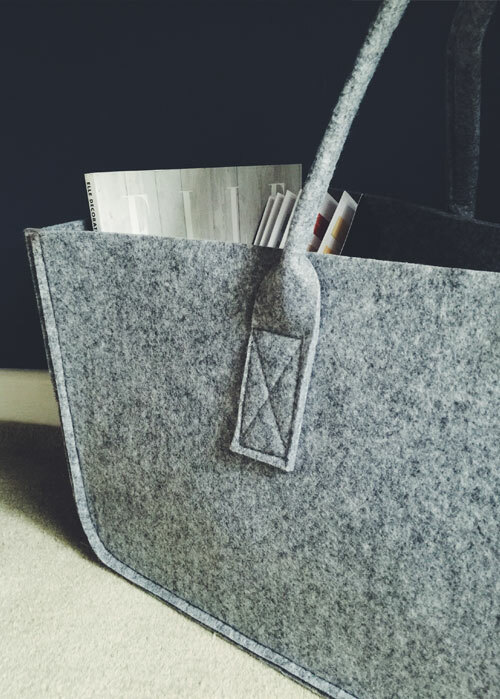 There is never a shortage of new editions flowing into the household, which I had been storing in my bookcase - but I felt it would be easier if not a little lazy, to have the magazines within a closer proximity to my desk - cue Dwell's stunning bag magazine holder with it's marl grey felt material. 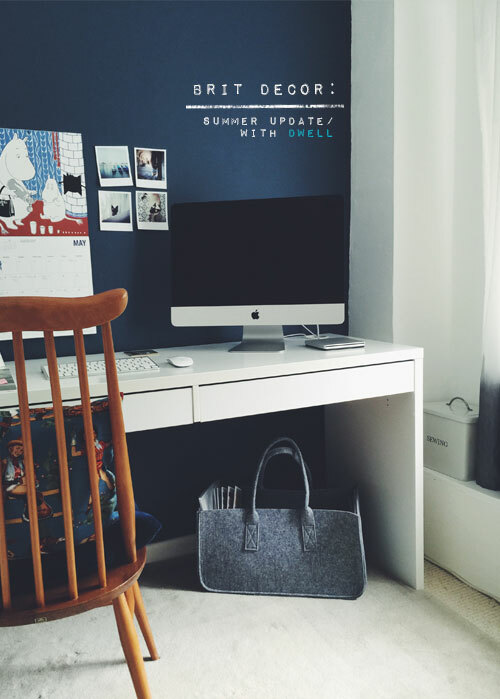 This looks great in tandem with the dark and moody Stiffkey blue wall and the crisp white desk, under which it sits beautifully. 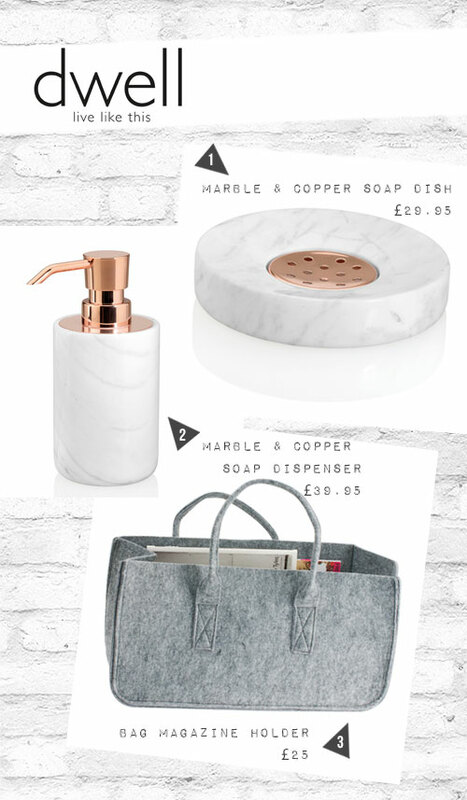 Into the bathroom and I wanted to fully exploit this years trend for marble. This ancient material is a sure-fire means of bringing instant glamour to any setting with its cool tones. 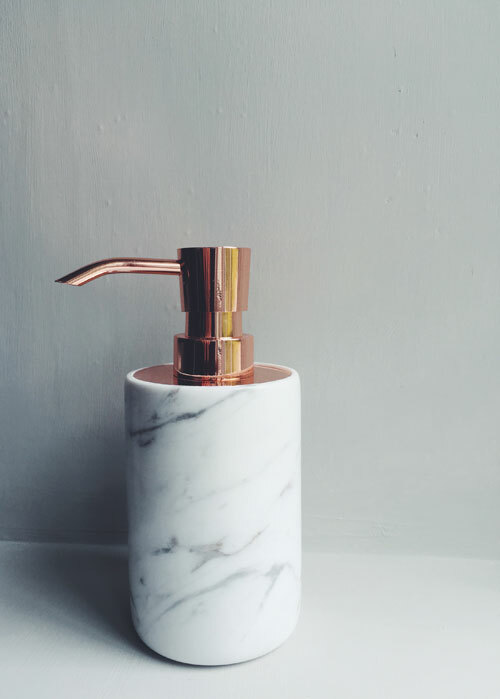 I also love how Dwell has opted to accentuate the luxe-look of these bathroom marble accessories by adding flashes of copper for a highly sophisticated finish. As with any favourite accessories - try grouping these together for maximum impact! 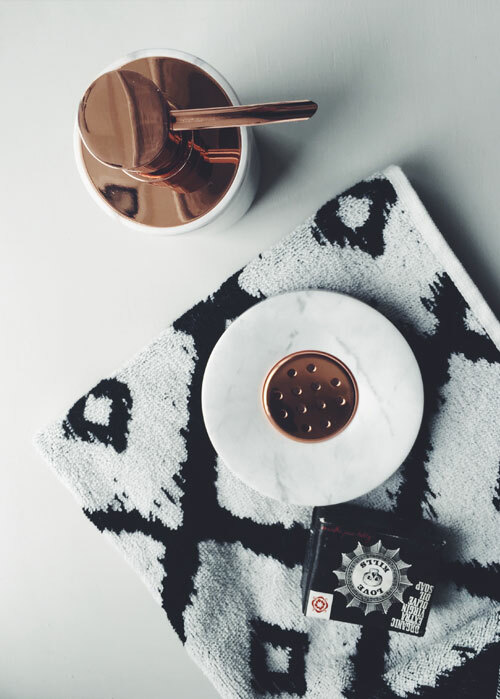 Love the monochrome colour scheme with the copper highlights, plus the marble finishes add a touch of glamour, much needed in a bathroom!